The definitive group biography of the Wailers—Bob Marley, Peter Tosh, and Bunny Livingston—chronicling their rise to fame and power. 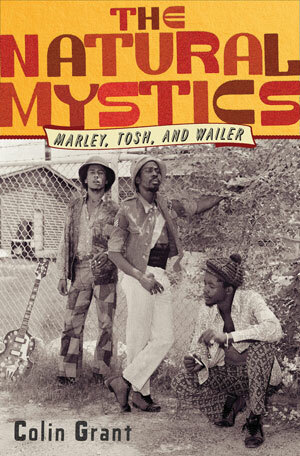 Over one dramatic decade, a trio of Trenchtown R&B crooners swapped their 1960s Brylcreem hairdos and two-tone suits for 1970s battle fatigues and dreadlocks to become the Wailers—one of the most influential groups in popular music. Colin Grant presents a lively history of this remarkable band from their upbringing in the brutal slums of Kingston to their first recordings and then international superstardom. With energetic prose and stunning, original research, Grant argues that these reggae stars offered three models for black men in the second half of the twentieth century: accommodate and succeed (Marley), fight and die (Tosh), or retreat and live (Livingston). Grant meets with Rastafarian elders, Obeah men (witch doctors), and other folk authorities as he attempts to unravel the mysteries of Jamaica's famously impenetrable culture. 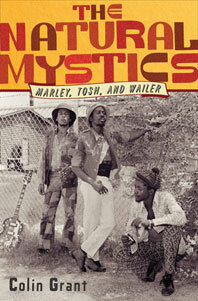 Much more than a top-flight music biography, The Natural Mystics offers a sophisticated understanding of Jamaican politics, heritage, race, and religion—a portrait of a seminal group during a period of exuberant cultural evolution.